Do I Need an Attorney to Obtain Legal Guardianship of My Minor Grandchild? Legal guardianship is a status that allows a person, such as a grandparent, to care for a minor child and make decisions on her behalf. The laws governing guardianships vary between states, but in most jurisdictions, you need a file a petition with the court to obtain legal guardianship of your minor grandchild. Although it is possible to obtain legal guardianship without an attorney, in many cases, it is advisable for grandparents to retain counsel. Some parents choose to name a guardian for their children in the event that they pass away or become permanently disabled. If your grandchild's parents named you in writing as a guardian and they died or became incapacitated, you may be able to obtain legal guardianship without hiring an attorney. Even so, if the court questions your ability to care for your grandchild because of your age, heath or financial circumstances, hiring an attorney is still advisable. In cases where parents have abused, neglected or abandoned their child, the court may appoint a temporary or permanent guardian. According to the Child Welfare Information Gateway, courts prefer to place minor children under the guardianship of a relative, such as a grandparent. In dependency cases, the court may impose a stricter standard on the guardian than in other types of guardianship arrangements. For example, the court may require prospective grandparent guardians to pass a home study and meet with a social worker. Given the complexity of dependency proceedings, grandparents involved in such cases may find it helpful to hire an attorney. If a parents believe that they are not able to care for their child, they may set up a voluntary guardianship arrangement with their own parents. These arrangements can be either permanent or temporary. Typically, both parents must approve of these voluntary guardianship arrangements. If both parents consent in writing to give you guardianship of your grandchild, it may be possible to complete the legal process without an attorney. If one parent does not agree to give you guardianship, however, FindLaw suggests hiring a lawyer. In all types of guardianship situations, extended family members such as aunts, uncles, other grandparents or estranged biological parents may step in and challenge your request to care for your grandchild. In such cases, it is usually necessary to hire an attorney. If you are involved in a contested guardianship case but cannot afford to hire an attorney, grandparents' rights groups or nonprofit legal aid organizations may be able to help you for little or no cost. Guardianship is a legal relationship between two people: a guardian and a ward. The guardian is granted legal authority over the ward, and the role is similar to that of a parent, who has legal authority over a child. A guardian may be appointed for either a minor or an adult, as long as the ward is legally incompetent and the guardianship is in the best interests of the ward. Can a Permanent Legal Guardianship in Texas Expire? A person with a mental or physical disability may need the assistance of a guardian to help him make decisions about his finances, healthcare, living arrangements and other life issues. In such situations, a probate court judge listens to the evidence and appoints a temporary or permanent guardian if he determines that is necessary. A temporary guardianship expires after 60 days, but a permanent guardianship remains in effect until the court issues an order to terminate it. However, a guardian's authority to act may expire under certain circumstances. A guardian must be appointed for a minor under the age of 18 if his parents die or are declared unfit, unless the minor is legally emancipated by virtue of an act such as entering the military or getting married. Ohio law requires a court order to appoint a legal guardian. 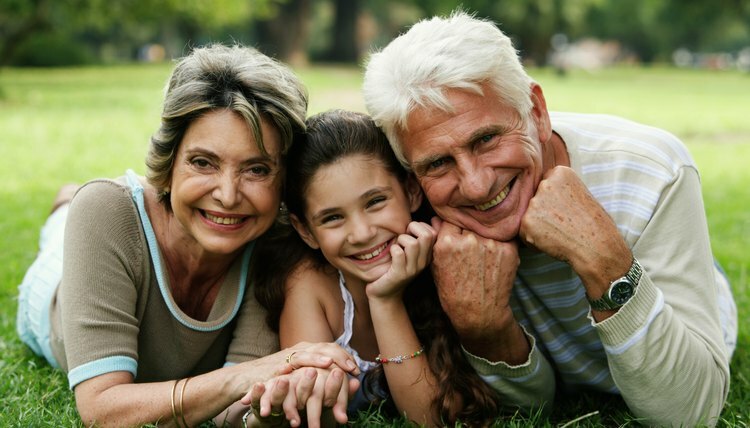 How Do Grandparents Get Custody of Their Grandchildren in South Carolina?